TORONTO -- Miniso's Canadian operations are facing a court fight that could force newly-opened operations of the Chinese discount retailer into bankruptcy. According to Supreme Court of British Columbia Court filings, Miniso Guangzhou LLC has filed an application seeking to begin bankruptcy proceedings for the brand's Canadian business. The company is accusing Miniso Investments Inc., Migu Investments Inc. and Miniso (Canada) Store Inc. -- the operators of about 50 stores selling Miniso products in Canada and have another 10 locations in the process of opening -- of fraudulently transferring registered trademark rights to third-party corporations, disposing of inventory and ceasing to meet liabilities as they came due. The Dec. 12 filings also say the parent companies are owed the Canadian equivalent of US$2.4 million in loans and US$13.3 million in inventory. An affidavit filed by Miniso Guangzhou LLC's senior legal counsel Ting Shi says the trio of companies that Miniso Guangzhou LLC has made a filing against have "committed acts of bankruptcy," are insolvent and do not have sufficient assets to pay what they owe. 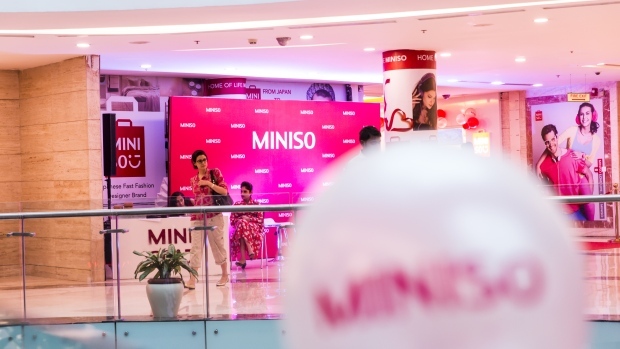 The lawyer said the company filed the application because it is particularly "concerned that it has lost control of the Canadian operations and, in particular, the Miniso Brand, the integrity of which is likely to be irreparably damaged by the insolvency." The accusations Miniso Guangzhou LLC and Ting Shi have levelled have yet to be proven in court. A Miniso spokesperson and a lawyers representing both sides did not immediately respond to The Canadian Press's requests for comment about the court proceedings. The proceedings come as Miniso is staging an ambitious expansion across the country, with locations continuously popping up in Ontario, British Columbia, Alberta and Quebec. Miniso first entered the market last year with its wide range of household, beauty, technology and food products that it sells for low prices. At the time it promised to open 500 locations within three years and industry watchers expected it to threaten Montreal-based bargain brand Dollarama Inc., which has long had a hold on the discount goods market in Canada. Miniso has yet to say what will happen to the Canadian stores currently open or its plans for further expansion if the bankruptcy application is successful. A hearing is expected to be held regarding the matter on Jan. 7 in Vancouver.